Alexandra Macqueen, CFP®, Author, is from Toronto, Ontario, Canada, and teaches personal finance at York University, one of the most prestigious universities in Canada. Tradeoffs between financial legacy and bequest motivations. “Pensionizing” Your (Client’s) Nest Eggs: What, How and Why?. Alexandra holds the CFP designation and has worked in multiple facets of the wealth management industry in Canada, including as a registered advisor and more recently in marketing and strategic planning. 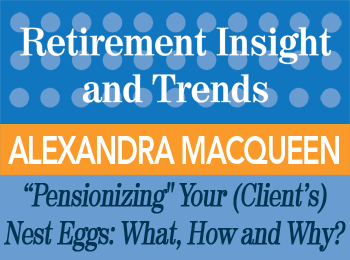 Read a summary transcript of Alexandra Macqueen’s presentation “Pensionizing” Your (Client’s) Nest Eggs: What, How and Why? 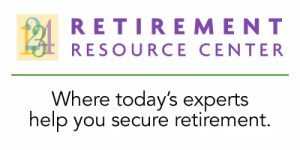 in the December, 2015 issue of “Retirement Insight and Trends”. Alexandra Macqueen, CFP® is the co-author, with Dr. Moshe Milevsky, of the first edition of Pensionize Your Nest Egg (for the Canadian market) in 2010, and the second, updated edition of the same book, Pensionize Your Nest Egg: How to Use Product Allocation to Create a Guaranteed Income for Life which covers the U.S., U.K., Canadian, Australian and New Zealand markets. Have Alexandra Macqueen speak at your event!